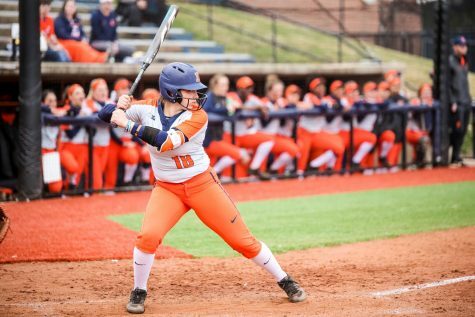 Illinois’ Alyssa Gunther singles against Purdue at Eichelberger Field. 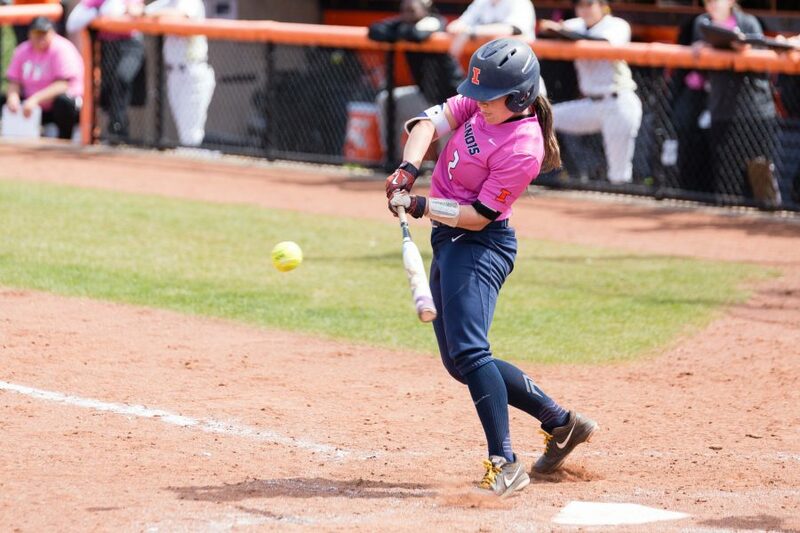 The Illini won 11-4 on Saturday, partially thanks to Nicole Evans’ record-breaking grand slam. 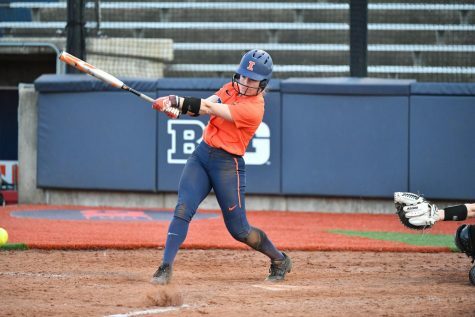 Senior Nicole Evans put her name in the record books this weekend when her grand slam in Saturday’s game moved her into first in career RBIs in Illinois softball history. 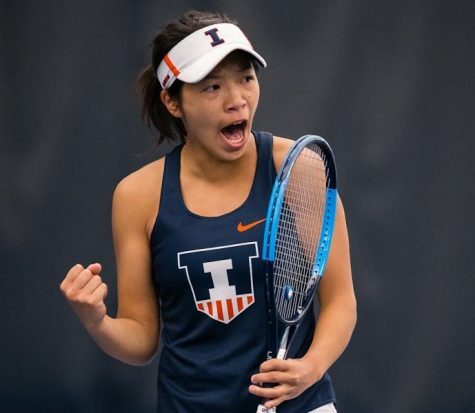 Illinois picked up the sweep against Purdue at home this weekend. 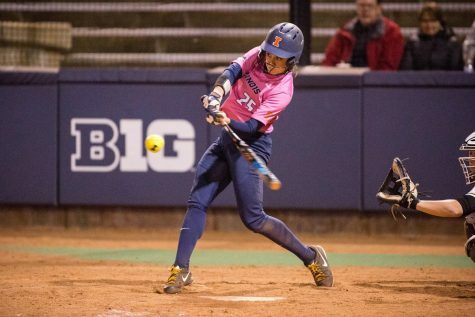 Evans was six RBIs away from breaking the record going into the game, and her grand slam in the sixth inning did just that. 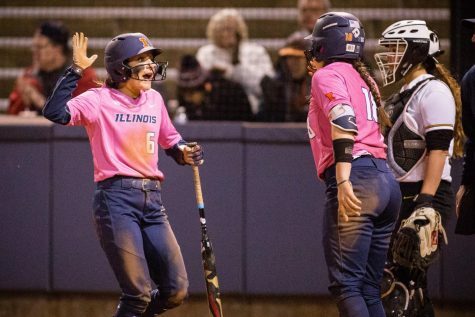 Illinois dominated the first game of the series, taking the opener, 9-1. Going into the bottom of the fifth inning, the Illini led 3-0, but they soon put the game out of reach. They scored five runs in the fifth inning after sophomore Kiana Sherlund hit an RBI single to right field with the bases loaded, scoring two. 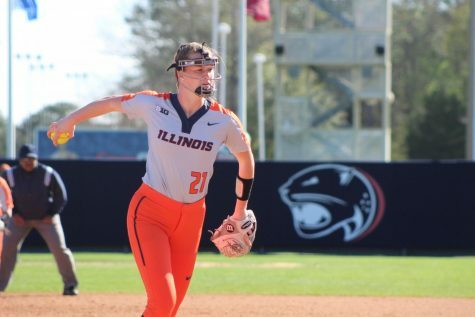 Senior Alyssa Gunther tacked on another run for Illinois with a fielder’s choice, then Purdue sophomore Mallory Baker committed an error the next at-bat, allowing both Sherlund and Gunther to score. Senior Breanna Wonderly allowed one run off three hits while striking out two at the plate. Illinois head coach Tyra Perry wanted to make sure her team did not come out complacent going into Saturday’s game against Purdue. 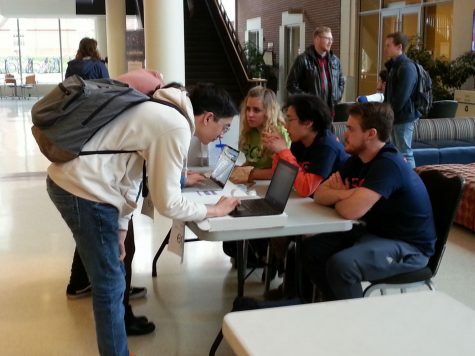 Saturday’s game did not start as the Illini had hoped. They fell behind early in the first inning, giving up four runs. 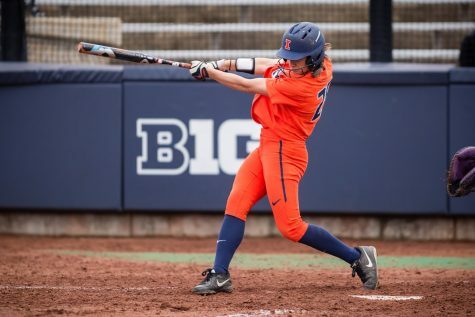 But each inning, Illinois kept chipping away at the deficit until sophomore Stephanie Abello hit a three-run homer in the fifth inning to give the Illini a 7-4 lead. 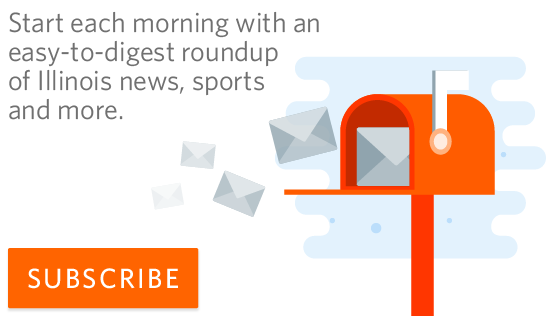 Evans then made history in the sixth inning when her long-distance grand slam landed on Florida Avenue. 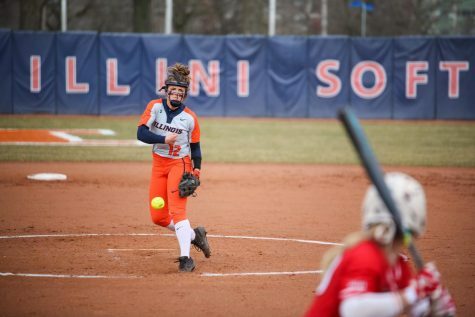 Another strong outing from Wonderly at the mound helped give Illinois an 11-4 victory. 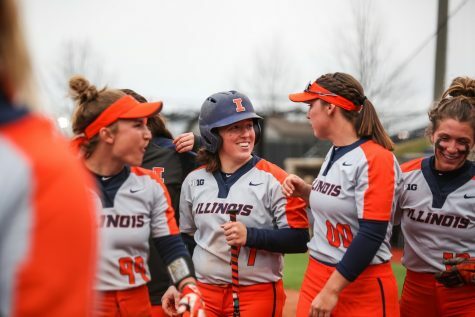 Sunday’s series finale looked like it was going to follow the pattern of the other two games with Illinois controlling all aspects. However, Purdue came back from a 6-1 deficit in the top of the seventh inning to tie it all up. In the bottom half, Gunther led off with a single to left field. Junior Annie Fleming advanced her to third with a single to right field. Evans again stepped up for the Illini, hitting the walk-off single to secure the sweep. 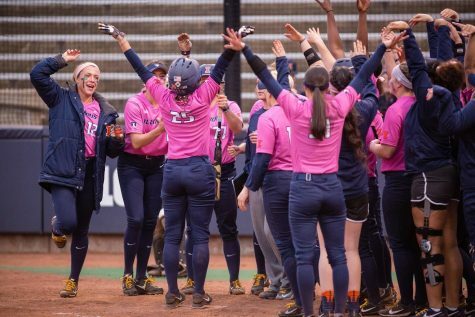 With the sweep, Illinois’ record improves to 27-10 overall and 7-2 in conference play. The team’s next game will be Wednesday when it faces SIUE at home.